Matt Lambert played at Heartland Community College for two years. His freshman year he compiled a 7-1 record with an ERA of 1.71, at the time the lowest for a starter in the Hawks brief history. This was also good enough for 2nd team all-conference and a Rawlings second team all-region selection. He then moved on to Illinois State where he appeared in 22 games over the next two years and compiled 50 innings. After his playing career Matt joined the staff at Carson-Newman University, a Division II program, Matt assisted with the pitching staff that set the school record for strikeouts and led the conference in strikeouts per 9 innings. 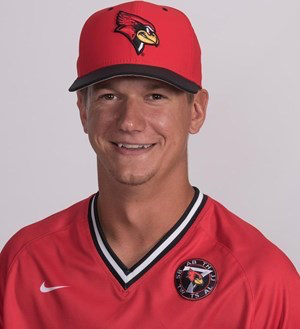 Matt is now the volunteer assistant at Illinois State and will be assisting with the pitching staff.